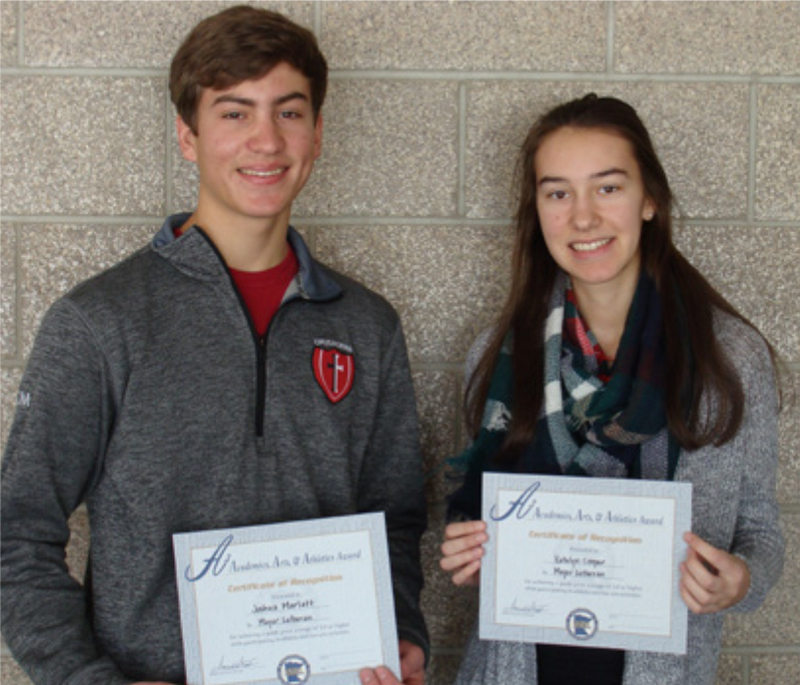 On Wednesday, January 10, seniors Joshua Marlatt and Katelyn Cooper were recognized as Mayer Lutheran’s representatives at the District AAA banquet. The AAA award recognizes excellence in Academics, Arts and Athletics. Josh participates in Wind Ensemble, Jazz Band, Pep Band, Soccer, Track, Quiz Bowl Knowledge Bowl, Fall Musical, One Act Play, and the Spring Play, all while serving as Crusader Council President. Katelyn participates in Wind Ensemble, Jazz Band, Pep Band, Fall Musical Pit Orchestra, and track. Both provide excellent examples of Christian leadership through their participation. We thank God for the talents and abilities with which he has blessed them.